Wall Painting | Neighbourhood Painters Ltd.
Our wall painting services offer you many options to choose from. 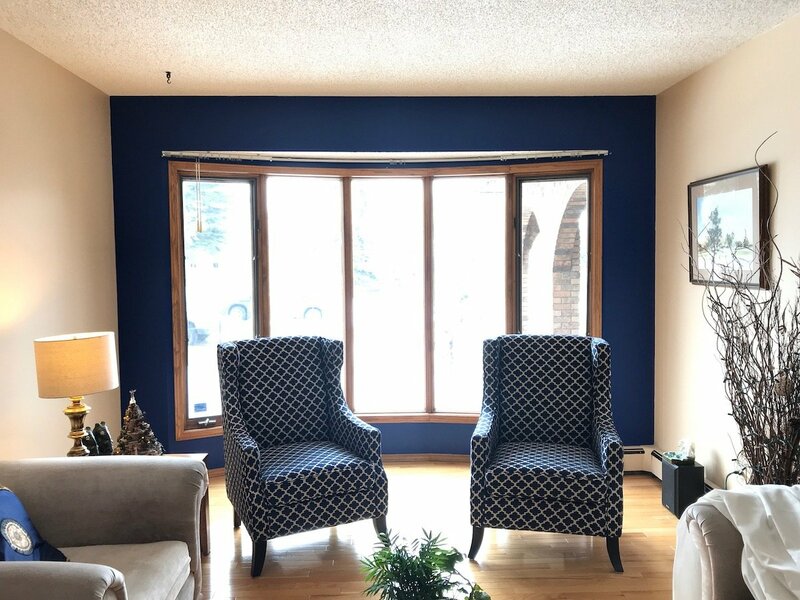 We normally use Benjamin Moore and Sherwin-Williams paints because over the years we have tested many paints and that is what gives us the best quality result. The nature of the project will determinate which products we will recommend, if you have a preference between our suppliers we will go with the one you prefer but still give you some options to choose from depending on your budget. Wall paint can give a home a new lease on life; a well-done paint job can create a brand new look, refresh outdated spaces, and make the home look appealing for current residents and prospective residents touring a home for sale. Although newly painted walls can have a dramatic positive impact on a home, wall painting is not for the faint of heart. A poorly painted wall can result in an unpleasant, dull and otherwise negative look; that is why it’s important that walls are properly painted every time. Let’s take a closer look at the basic steps you’ll need to follow in order to properly paint a wall. 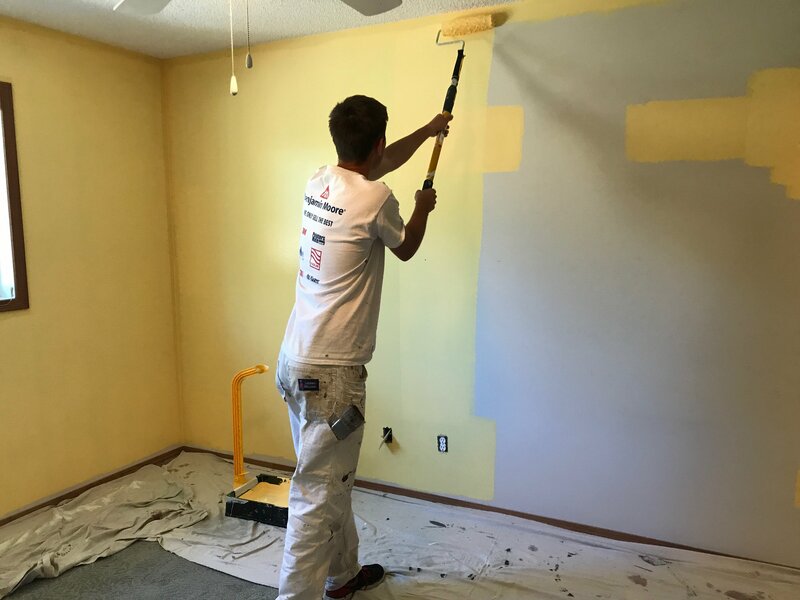 When we paint your walls we only use high quality tools to apply your coating and procedures to give you the best results. We usually start by covering any of your furniture with plastic to prevent any dust that will fly away during our sanding process. Our team will then cover all your floors with drop cloth and start patching any holes or dents we spot with a work light. We only use frogtape on the baseboards because it will prevent any splatter from the roller getting on your baseboards. It also gives a nice crisp cut line. All the rest of the cut-ins are done free hand by our skilled and professional painters that can cut sharp straight lines. We spot prime all the repairs with the actual paint colour for an even coverage and a uniform finish. We will use a primer to seal up old paint and previously painted walls that have been painted with oil-based paint. We usually do some test to determinate what kind of paint is on the walls we have to paint before applying our coating. We will also use a primer if the walls are new drywall. On most of our project we do 2 coats of premium paint unless it is the same colour and the customers just want a refresh.